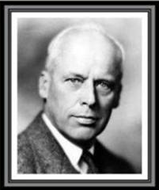 Norman Mattoon Thomas (November 20, 1884 - December 19, 1968) was a leading six-time presidential candidate for the Socialist Party of America. "The American people will never knowingly adopt socialism. But, under the name of 'liberalism,' they will adopt every fragment of the socialist program, until one day America will be a socialist nation, without knowing how it happened. I no longer need to run as a Presidential Candidate for the Socialist Party. The Democratic Party has adopted our platform."